You’ve all heard of it by now, the app that has completely swept the nation (and the world) within days of being released: Pokémon Go. Mixing augmented reality (AR) with the real world, the app takes your favorite Pokémon game that you used to play on your Gameboy and turns it into “real life”. You become your own Pokémon trainer, and travel around the real world in search for Pokémon. Perhaps you already play it, or perhaps you absolutely refuse to get sucked into the game that everyone seems to be playing. I’m surprised to see how many people are afraid to admit they play it, and how much flak the app has gotten from people for being “just a huge waste of time”. The app encourages people to get outside, promotes exercise, and is bringing people together which are some of the reasons listed below. What is so bad about that? I’m 26 years old as of writing this article, and I will proudly say I love playing Pokémon Go. I grew up with Pokémon – it’s just rekindling the love I had for the game. 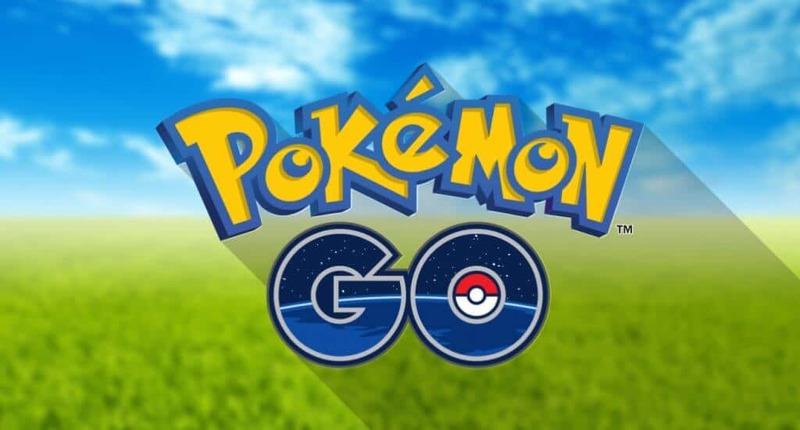 Whether people are giving you a hard time for playing the game, or if you’re on the fence as to why you should start playing, I compiled a list of 5 reasons why you should start playing Pokémon Go. Probably the best reason (in my opinion) for starting to play the game is you will get more exercise. Unlike every other mobile game out there where you sit around in bed all day playing it (Candy Crush, anyone? ), Pokémon Go makes you get out and walk around hence the name "Pokémon Go". In order to play the game, you walk around with the app up until your phone vibrates which indicates a Pokémon has appeared. You tap on the Pokémon which switches your screen to a "catching" interface. Then, you can flick a Pokéball at the Pokémon in order to catch it. Once you have caught all the Pokémon in a certain area, they won't show back up for a little while which is why you are forced to move around. Also, different Pokémon are found in different places so you have to travel place to place to find new Pokémon generally. There are also various Pokéstops that you can go to (which are usually churches, landmarks, monuments, etc. in the real world) in order to stock up on certain items such as more Pokéballs, potions, revives, and eggs. Eggs are another piece of the game that force you to move. 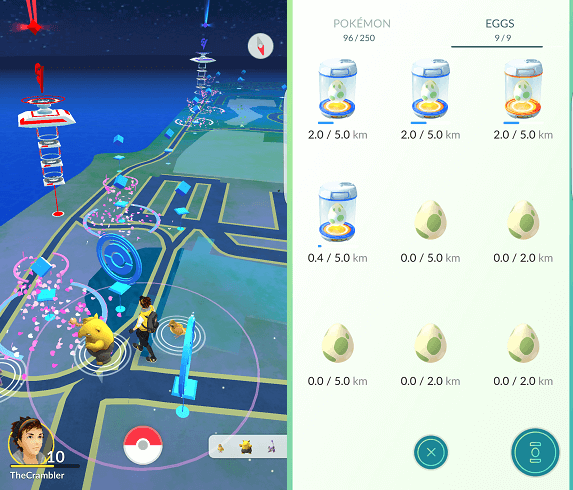 There are currently 2km, 5km, and 10km eggs. Once you get an egg, you can put it in an Egg Incubator. Once it's in there, you have to walk that distance (denoted by the egg) in order to get the Pokémon to hatch out of the egg. The 2km eggs have the most common Pokémon, the 10km eggs have the rarest Pokémon in them, and the 5km eggs are in between. However, don't think you can get away by driving that distance in order for them to hatch! If you're going too fast, the app will know you're driving and it won't count towards your walking distance. What a great way to get people moving! The second reason you should start playing Pokémon Go is because you can meet new people! Especially if you are in a city with a decent amount of people, you will find people playing this game all over the place. Go with a group of friends that also use Pokémon Go and head to some park or any public area. Chances are you'll find others playing the game. Not having luck with that? Hop on Facebook and search Pokémon Go for your city. Many Facebook groups have already been devoted to certain cities or areas. Join your local group, and get involved! Chat with people, plan times to meet up to catch Pokémon, and make new friends! Since you have to move around in order to play the game, and since different Pokémon show up in different areas, you are sure to discover new places. As I mentioned earlier, Pokéstops in the game generally are linked to real life structures such as churches, landmarks, monuments, and more. The only way to get more items in the game (other than leveling your character up) is to stop at different Pokéstops to stock up on items. So, you are sure to find all sorts of cool areas in your city that host landmarks, monuments, and other things. If the Pokéstop is a landmark, you might as well stop and learn more about it in the real world since you're there collecting items in your game anyway! Pokémon Go hooks right in with the Google Maps API in order to show you a "virtual" map of your city or the area you're in, and I personally have already discovered a number of new places and shortcuts to take in my city to get from place to place by playing the game for only a week! Never have I personally seen a mobile app bring people together so much as Pokémon Go already has. People are putting their differences aside and focusing on one thing: catching Pokémon. Does that sound silly? Yes. But it's true. Check out this video where thousands of people in Central Park all start rushing towards a Vaporeon (rarer Pokémon) that spawned in the middle of the park. Do I agree with what happened in the video? No... people actually parked their cars and got out to rush towards the Pokémon which stopped traffic. This video is an extreme case, BUT it goes to prove the point I'm trying to make. Groups of people everywhere are all gathering and working towards catching Pokémon together while putting aside race, religion, sexual orientation, etc. I'm all for anything that encourages togetherness and less hate in this world, and you should be, too! 5. You will have fun doing it! Pokémon Go is a blast! Admittedly, it can be a bit addictive at times for me. If Pokémon Go wasn't fun, it wouldn't have taken off as quickly as it did and still be gaining millions of users. The game is engaging, interactive, and a completely different concept that your typical mobile game. I think this is one of the reasons why so many people have adopted the game. The fact it merges augmented reality with the real world and gives a whole different feeling compared to your other typical mobile games gets people excited. Don't just take my word for it - download the game and see what I'm talking about! So there you have it... the 5 reasons why you should start playing Pokémon Go. In fact, just ask around, and I guarantee many people you know have the app downloaded and have been playing it. There already is a vast community of people all over the world that play it, and it's getting bigger every day. Why not join the community of players out there already and try something new? It's an exciting, engaging mobile app that brings people together and gets you out and about more which in turn gives you more exercise. I can think of much worse things to get into. I started playing a week ago and its really fun. my highest CP pokemon is a 922 vaporeon. i’m lvl 13 almost 14! email me screenshots of ur pokémon. 🙂 btw nice website. Nice! Yeah I’m having a blast with it so far. I believe my highest Pokémon as of right now is a 1161 Vaporeon at level 17. Can’t wait to keep leveling up! I personally was thinking about going against Pokemon Go in my school debate. I’ll probably never play it, but I don’t think of it as quite as bad a game that I thought it to be. It really isn’t a bad game at all! It at least gets people active and moving around compared to most any other mobile game where you sit in bed all day playing it. I downloaded the game and I’m hooked! my two favorites are my magmar and my areodactyl. I never thought I’d actually know any of these names!! Both good ones! I knew the names from having Pokémon cards growing up, but a lot of people are just discovering Pokémon for the first time! Good I’m happy to hear it! Those are all the main reasons I play! Also the field research keeps it interesting and challenging. I usually only catch Pokémon I think are cute and the high CP ones, but I’m doing the task where you have to evolve an evolved grass type and so far the only grass type that’s close to enough is Weepinbell. Also, another thing people can set aside are their friends different teams. For example, my sister is Team Valor, I’m Team Instinct, and our friend is Team Mystic. We thought it would cause arguments over gyms but surprisingly it doesn’t! If we walk up to a blue gym and there’s room for one more Pokémon, our friend will put one in. If they’re all about to get knocked out for having really low health, my sister or I will just take over the gym. There’s usually 3 gyms all in the same park that we go to, so we try to have each one a different team. Sometimes if there’s a full gym, 2/3 of us will deliberately kill only one Pokémon so the other person can put one in, but usually we have to walk away for about 10-15 mins because it’ll still say the gym is under attack. 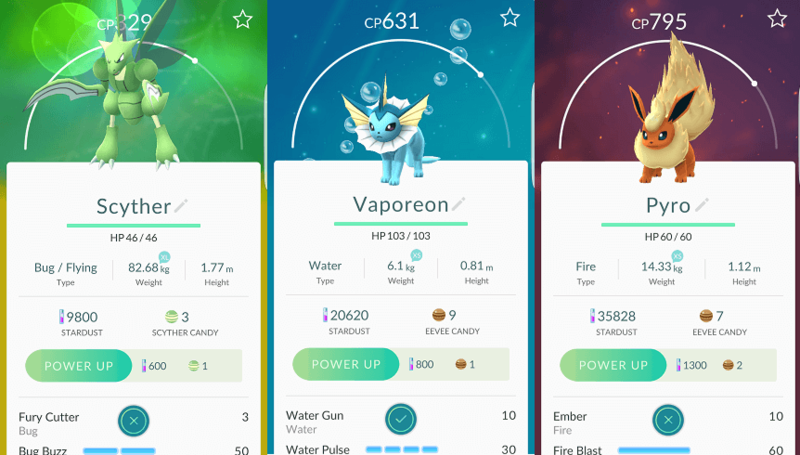 My highest CP Pokémon is 2791 – Gyarados, then 2601 – Vaporeon. Whenever I see an Eevee, I HAVE to catch it, even if there’s a cooler, rarer Pokémom next to it. Eevee (Vaporeon) is definitely my spirit Pokémom.